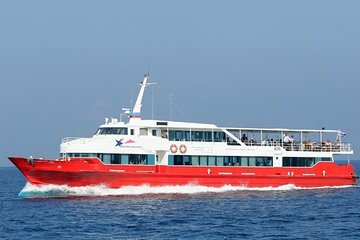 Travel from Phuket to Koh Phangan via two high-speed ferries plus VIP coach service. Ride the ferry to Krabi and transfer by coach to Don Sak Pier, then hop on another ferry to Thong Sala Pier on Koh Phangan. With a number of stops including Koh Samui, the one-way journey takes approx. 8.5 hours. Make your own way to Rassada Port or opt for a convenient hotel pickup in Phuket.